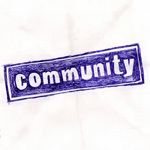 I love the NBC Show Community. It has a certain something ex-MKs can relate to. Here Troy & Abed practice their Spanish. 10 Points to whoever picks the mis-translated word. Posted in Language, VideosTagged community, NBC, rap, spanish, translationBookmark the permalink. ice cream?? 🙂 what can i get with 10 points? Yay! Um, not much actually. Lifetime’s free access to the website?